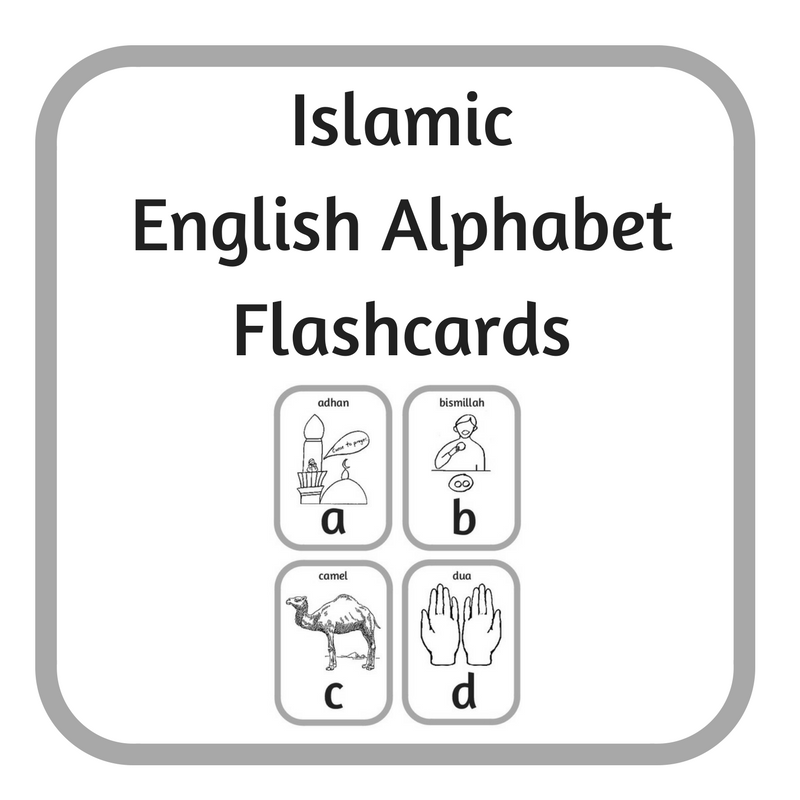 To help you teach your children the English alphabet, I have created these complementary flashcards to accompany the Islamic Handwriting Practice Alphabet book, These flashcards will reinforce the letters and the Islamic concept associated with each letter. The best thing is: they are free. There are 26 cards. Each with the same picture as was used for the handwriting book. They are black and white so you can colour them in or let your child colour them in and laminate them. 1. 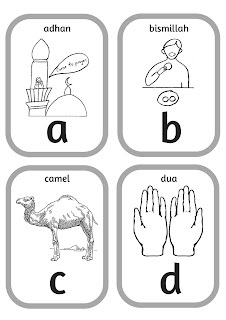 As normal flashcards to teach and recall each the letters. 2. Make 2 sets and play concentration, which is to find the matching pair by placing the cards with the pictures faced down and turning over 2 cards at a time. 3. 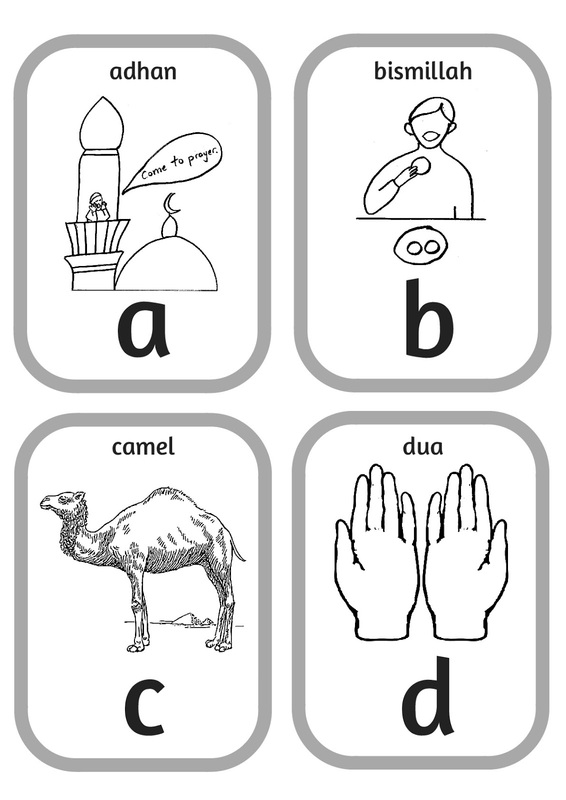 Once your child learns the letter, give him the corresponding card to colour in to keep, to play and to revise. 4. Hold a card up and ask your child to find other things in the room with the same sound. 5. 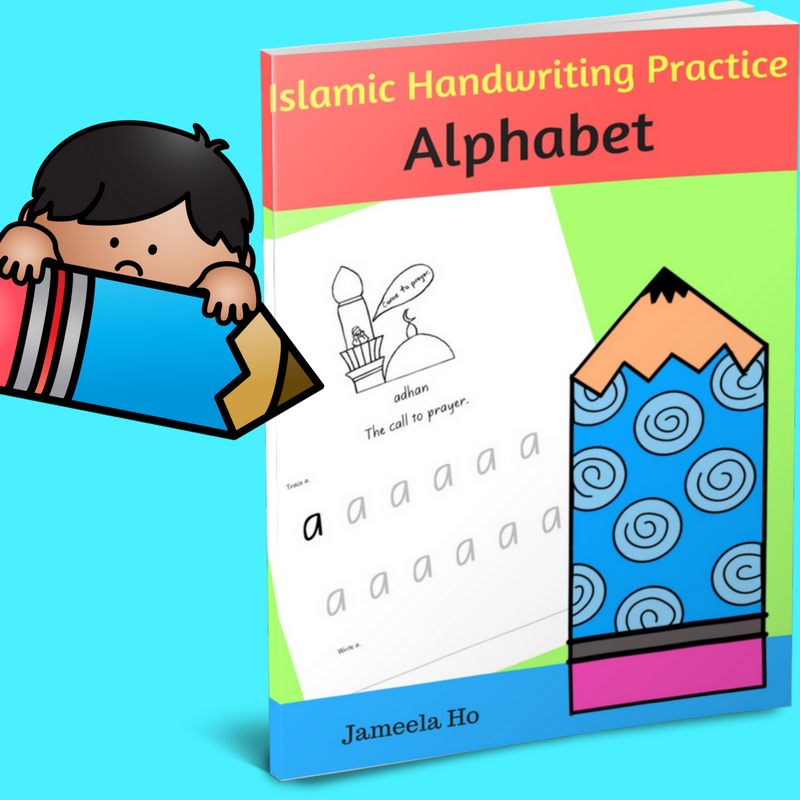 Once your child has learnt all the letters, ask him to place them in alphabetical order. 6. 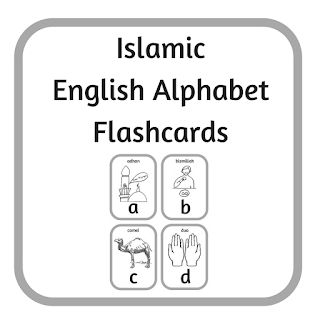 Use the cards to teach the Islamic concept. 7. Print and laminate them without colouring in first. Once laminate, give your child markers to colour and trace over the letter. Wipe off and reuse. To download these for free, click here.